The much anticipated Mega Drive version of Super Street Fighter II is due to reach Europe next week. The official Nintendo site lists the game for 12th April at 800 Points. 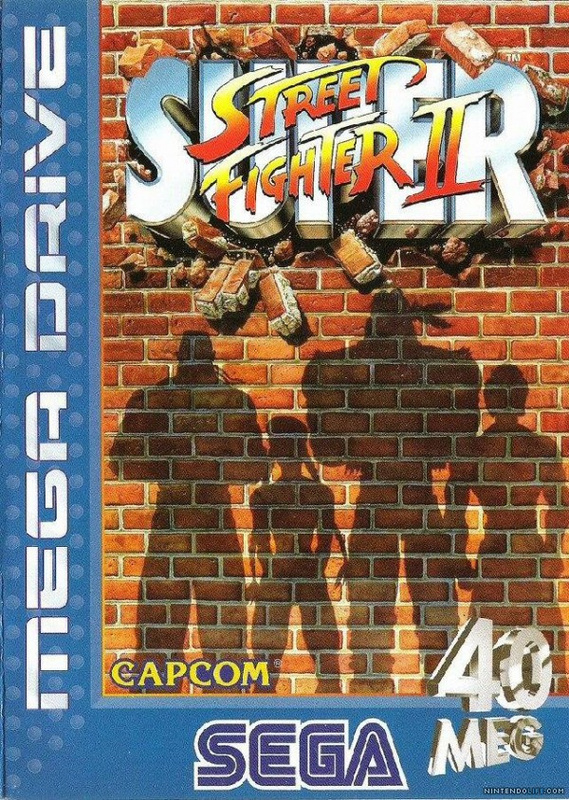 We've already got Super Street Fighter II on SNES available on Virtual Console, but this Mega Drive version is due to launch with online multiplayer, a Virtual Console first in the West. We've contacted SEGA to confirm this is still on the cards. Look for it next Thursday. Hm. Looks pretty cool. The only fighting game I've really got into is the Smash Bros series. I would really like to play this! ...too bad they don't release this kind of stuff in the US very quickly. You can play the SNES version on the Virtual Console. No need for you to wait. @Bass_X0 Mega Drive version obviously better though. I want this in America too. I want to play online. Besides the online option what differences this has with the SNES version? Yeah, I guess I could download it on the Wii. I would prefer it on a handheld, but either would work. @James I don't see how it being the same game makes it the better version. Capcom purposely made this version came with online play as a way to persuade fans to drop the cash and re-download it. Kinda surprised Capcom has not released any of the arcade versions of Street Fighter II on VC. I prefer those over the Snes and Genesis. Finally - it's late but at least it's here. For me, the reasons I prefer the Megadrive version is the music continues into the second round, it has the arcade's sound effects, more speech (SNES misses "round # fight"), better animated intro and more background details. They're small things but I tend to miss them when playing the SNES version and more than make up for crackly speech. Besides, this one also has online play. Doesn't this one have the extra characters like Cammy unlike the SNES version? I need to ask Reggie for something. I just wish that Nintendo had done the online multiplayer with some of the VC games since the very beginning. NOW they're doing this? Well, it's better than nothing, but I wish they had done this earlier. Cammy was in both the SNES and Genesis version of the game. The roster was identical for both versions. I hate this version of the game(snes version was much better), but I am tempted to DL it because of the online play. is this the first game to have 2 different console versions on the virtual console? So when does North America get this? SSF2 for Genesis is my favorite SF of all time. and with online play? >< Ahh, sounds like a dream. R-type (R.I.P), Ghosts n Goblins (although one of them is the arcade version), and, in a way, all those Wonder Boy "ports" for TurboGrafx, from what I remember. @misswliu81 Not really. A couple of the Wonderboy games have been released on the Megadrive/Genesis and Turbografx-16, just under different names. Oh and kudos to HolyBlade for remembering R-Type and Ghosts n Goblins. @Madgear, why would the SNES version be missing all that stuff? I had always thought that the SNES had superior graphics and sound quality compared to the Genesis. I know the Genesis had a faster processor (it has quicker animations), but as far as details and sound effects go, I don't see why the SNES always seems to be missing stuff compared to the Genesis versions (I noticed this myself, as a kid). Is it like the 360/PS3 situation? Where most 3rd party games were developed on the Genesis (360), then ported over to the SNES (PS3), so even though one was more powerful, the games were tailor made for the less powerful of the two. Like the 360, Genesis had the early start on it's main competitor and thus already had an install base (this is the reason behind my hypothesis). The SNES version is a smaller cartridge, RR529 - 32MEG on SNES and 40MEG on the Megadrive. It just means they were able to fit more on the Megadrive cartridge. Having both versions, I've just noticed those differences and the Megadrive is the one I prefer. If you prefer the SNES then so be it - it's really just down to opinion and both versions are pretty good. @Madgear, I was never saying I thought the SNES version was better (in fact, I haven't played either version of this particular Street Fighter), I was just curious as to why Genesis games seemed to be more advanced, when the SNES 'technically' has the specs on it's side. Although I don't own it to confirm I imagine that the SNES version on VC may have been partially optimised for 50hz to remove borders (as 99% of SNES VC games are). What we do know is that 100% of Megadrive VC titles (including import titles that should run in 60hz but don't) don't get any optimisation done. As this is technically something slightly new with the whole online feature it will be interesting to see what SEGA does with it although as it seems to be the emulator they use that is at fault it's unlikely to be any different from the rest of the VC output. Thanks to MadGear for the info. I owned the SNES version but I could never play the Genesis one, so I am hoping this one comes to NA. I guess in its original format, the Genesis version also had the advantage of a better controller layout. I do remember the SNES version had a tournament mode, is that in the Genesis/Megadrive version too? I prefer the SNES version. Graphics and audio are clearly better. @Betagam7 Yes - the SNES version has the usual partial optimisation on the VC, reducing the boarders. I always wondered why the Megadrive version had an extra 8 megs on the cart, only real option that is extra is the ability to play the arcade mode on expert and fight all the fighters instead of a selection of twelve and be able to see the endings even on the easiest difficulty because of it. Unless I am missing something else? What about the gameboy version? @lonlon-milker If you are talking about the GBA version of the game, that is actually the sequel and the controls are cripples anyway not to mention that version is crippled by a glitch that pretty much destroys all saved scores and time if you are actually good enough to be able to fight Akuma making the game crash one you get there, and once you restart your saved scores and times are screwed. @Zensulu To be honest it could be Sega's doing as to why it's a 40MEG cart. Maybe they just wanted it to be the biggest version - they seemed to focus a lot on cartridge sizes back then and it might have been a bit of a selling point. 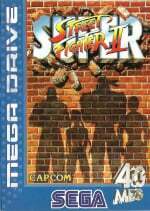 It could have also been cost - the SNES already had two versions of Street Fighter 2 but the Megadrive only had one. For that reason it was more likely the Megadrive version would sell more as SNES owners would see it as more of the same. Maybe it was worth the extra cost of a 40Meg cartridge for that format but not the other. Who knows, just speculating. @vio, @HolyBlade oh ok. thanks guys. why the hell have we got this version when we could have the Superior Arcade Version,what the hell.